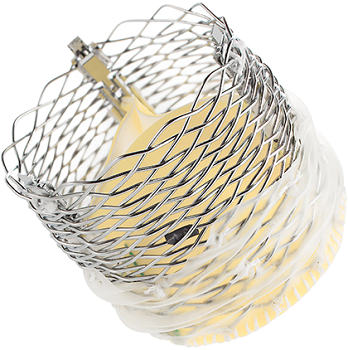 Boston Scientific landed the European CE Mark for its LOTUS Edge transcatheter aortic valve system. It’s intended to be implanted in patients with severe aortic stenosis who are poor candidates for an open heart surgical procedure. Based on the Lotus valve, the LOTUS Edge relies on a narrower and more flexible catheter for easier delivery through difficult vasculature. Another thing differentiating it from its older cousin is the Depth Guard feature, which Boston Scientific claims can help some patients avoid having a permanent pacemaker. This is done by reducing how much contact the conduction system of the heart has with the system during deployment. From Boston Sci’s announcement: Leveraging the current Lotus platform, the LOTUS Edge valve system integrates the Adaptive Seal™ technology which minimizes paravalvular regurgitation (leaking) or PVL, as demonstrated in the 1,000 patient RESPOND Post-Market Registry. This study found that 91.9% of patients had core-lab adjudicated trace or no PVL pre-discharge, and 7.7% had mild PVL. No patients had severe PVL and only 0.3% of patients had moderate PVL. LOTUS Edge continues to be the only TAVI device that offers controlled mechanical expansion, which allows the valve to be fully deployed and assessed and then repositioned or fully retrieved by the physician, if needed.